Chelsea vs. Manchester City : 25 May 2013. The silver Amtrak train slowly trundled its way along the tracks deep below the streets of Manhattan and eventually came to a halt. I gathered my two cases and patiently waited until it was time to step down onto the platform at New York’s Penn Station. I edged along among the fellow travellers and then took a couple of steps onto the elevator. As I slowly rose, it hit me. That New York City Subway smell. I was back in New York. The story of my return to the US at the end of yet another ridiculously entertaining and tumultuous season following Chelsea Football Club is worthy of a separate dissertation all by itself. Here are the bullet points. Like many others, I was at first shocked that Chelsea were returning to the US for two essentially money-making games against Manchester City. After all that the players have been put through, why not let them rest and allow their bodies time to re-charge over the summer? To me and countless others, it seemed illogical and quite pathetic. Personally, I was also surprisingly underwhelmed. Knowing my love of travelling to the US, my ambivalence truly surprised me. In the words of many a football fan, I was clearly not “up” for this crazy addendum to this longest ever season. My initial thought was to boycott it. In fact, in all honesty, I was happy with a boycott. After almost 12 years of travelling to the US – and elsewhere – every summer following the Yankees or Chelsea, I was looking to try something different during the summer of 2013. I had already ruled out attending the Asia tour, simply because I had only just visited two of the three cities – Bangkok and Kuala Lumpur – as recently as 2011. No, that would be over-egging it. I wanted to spread my wings. I had thoughts about driving down through Italy, maybe seeing Depeche Mode in Milan and Rome. Maybe a relaxing beach holiday – not my scene at all, really, but something different – or maybe swimming with camels in Norway, cycling around the North Pole, learning to plate-spin in Greece, wine-tasting in Glasgow, scuba-diving in Siberia, maybe even something as simple as a week in London, catching up on all the tourist attractions that I never get the chance to witness despite being in London close on thirty days every single year. I just fancied something a little different. And then Chelsea, as is so often the case, screwed it all up. The club announced that the match in New York would be in Yankee Stadium. But – damn Yankees and damn Chelsea! – I simply couldn’t resist a trip back to the house that George Steinbrenner III built in the Bronx and so I looked at travel options and my mind became infused with New York once again. I saw my first Chelsea game of 2012-2013 at Yankee Stadium and I would see my last Chelsea game of 2012-2013 there too. These twin games would prove to be two incredible bookends for another crazy season. Way back in the early ‘nineties – when I was just starting out on my own personal baseball journey – if someone had mentioned this to me, I think I would have fainted. Without too much trouble, I soon sorted flights to the US and I was able to include a three-game Yankees series in Baltimore in my plans too. The baseball and footballing Gods were shining down on me once again. Penn Station plays a small but significant role in my life as a Chelsea supporter. Just as I can remember exactly where I was when I heard that Ruud Gullit and Gianluca Vialli had signed for Chelsea (Westbury, Wiltshire and Gaviota State Park, California), I can well remember where I was when I heard that Frank Lampard had signed for us. I was at Penn Station. I had been in New York for eight days and I ‘phoned my good friend Glenn, who had been keeping an eye on my mother while I was abroad. In a hurried call, he had told me that Claudio Ranieri had bought both Frank Lampard and Emanuel Petit, with others “to follow.” At the time, I was excited that we were splashing the cash, though undecided about Lampard as a player. I needn’t have worried, eh? A while back, with Frank unsigned for next season, I was worried that my personal Frank Lampard story would start in Penn Station and end in The Bronx, where his last ever game for Chelsea may have taken place. I love my symmetry, but that would have been tough to take. I made my way up to street level and soon took a cab to Brooklyn. I had lucked out with accommodation for the NYC segment of the trip; my friend Alex had offered me the use of his apartment in Greenpoint while he was away on holiday in Denmark. I was soon hurtling over the Greensboro Bridge, slightly unsure if the cabbie knew where he was going, but just so excited to be back in one of my favourite places on Earth. The view was phenomenal; the East River down below, the Williamsburg Bridge, the Brooklyn Bridge, the Chrysler Building, the Empire State Building and, hauntingly, the now almost completed new tower at the World Trade Centre. Alex evidently lived in a great neighbourhood. Rather than charging me rent, all he wanted was a flagon of scrumpy, which I had given him in London on his recent visit, and a few packs of football trading cards to give to a young relative. Greenpoint was clearly a great place to base myself for a few days. There was a subway stop a hundred yards from Alex’ pad. I would be fine. There was an eclectic mix of Polish shops and other ethnic cafes, although the place was swarming with “trying too hard” hipsters. However, I was entranced by the mix of different accents as I walked the streets of Greenpoint . It was so typical of New York. In all honesty, this would not be like other trips to the Big Apple. This was a time for me to relax and to chill out at the end of another taxing season. On the plane over, I calculated that this would be my seventeenth trip to the US and my fifteenth time in NYC. There was little that I needed to see. Over the years, I have visited all of the major attractions, most of the main art galleries and museums, all of the sport stadia, all points north, south, east and west. In a similar vein, Baltimore had been ultra-relaxing. I had landed at 4pm on the Monday and, by 5pm, I was booked in to my hotel a block from the excellent inner harbour and only five blocks from that jewel of a ballpark Camden Yards. By 6pm, I was back at the “Pratt Street Ale House”, which acted as a base for Chelsea fans ahead of our game with Milan in 2009, chatting away to a Baltimore-native and Liverpool fan called Dean. That first evening in Baltimore was magnificent; a lovely time spent high up in the seats beyond third base, chatting to strangers about Baltimore, the Yankees, Chelsea – inevitably – and my love of visiting The States, interspersed with beer and baseball. That I got to see Mariano Rivera successfully close a game in his farewell season was the cherry on the top of the crab cake. The Yankees won 6-4 and I was floating on air. However, after being awake for most of 26 hours, my walk home from “Pickles” – another bar from 2009 – to my hotel is a massive blur. I remember nothing of it. Tuesday was another relaxing day, which unfortunately ended with a narrow extra-innings loss to the Orioles. On Wednesday, I got my tourist boots on and visited the Babe Ruth Birthplace Museum, just a few blocks away from Camden Yards, indulged in a Baltimorean crab cake fantasy, went on a speedboat into the Baltimore harbour and visited the World Trade Center, with fantastic views over the city. In the evening, my good friend Steve – who had travelled down from Philly – met me and we went on a little pub crawl before attending the final Yankees vs. Orioles game of the series. We lost 6-3, but still enjoyed our time thoroughly. In my stay in Baltimore, I had casually bumped into two other Chelsea fans; this simply would not have happened in days gone by. Back in the ‘eighties, I hardly bumped into many Chelsea fans in Frome, let alone Baltimore. Just like 2009, Baltimore had been a blast. However, I soon learned that my beloved Yankees had signed a deal with Manchester City to assist in the formation of a new MLS franchise, to come into fruition in 2015. This was a shocker and dismayed me. My initial reaction was that Chelsea had missed a trick; surely helping to foster links between a club in the US, with its links to new players, and a club in Europe was an excellent idea. I almost felt that the Yankees had been going behind our back. I felt cheated. It was a strange feeling. I then also remembered that way back in around 1998; the Yankees signed a commercial partnership with Manchester United to develop each clubs’ branding opportunities in both markets. I was irate then, too. I even phoned the manager of the Yankee clubhouse store on Fifth Avenue to tell him what I thought of it. So, the thought of my Yankees hopping into bed with both of the Manchester teams over the past fourteen years certainly annoyed me. Who says the course of true love runs smooth? …Mac and Jo have been together for fifteen years and during the first few weeks of their courtship, all was rosy. They then decided to travel to Gillingham to watch a Brighton away game. The two of them were stood in the away end, when all of a sudden – and to Jo’s horror – Mac began pointing and gesticulating towards a policeman nearby. After a while, the gestures became ruder and ruder and Mac’s language descended to profanity and derogatory name-calling. Jo thought to herself; “oh great…I thought this guy was lovely…looks like he’s just a typical football hooligan…bloody hell.” This continued all game. Each time, the policeman ignored Mac’s taunts. He had good reason. It was Mac’s brother. Mac introduced me to the bar-owner and the drinking continued. It was a great time. I was at ease with myself. That I could start talking to complete strangers was lovely, though I know only too well that football – not beer – acted as the great lubricant in this chat. For me, it wasn’t always like this. For many years, these words struck a chord with me. And this from a man who bedded Marilyn Monroe. Oh to be at ease in your own skin. Even you, Joe D.
Our 4-3 loss to Manchester City was a crazy end to Thursday. Even more crazy was the fact that there were only two other Chelsea fans in “Legends” watching the game. Maybe this trip to New York was going to be a let-down after all. After leaving “Legends” I navigated my way back to Brooklyn and hoped for better things. I awoke on Friday morning and all was well. A coffee and a bagel in a café on Nassau Avenue set me up for another fantastic day in New York; perhaps one of the best ever. I had a plan. Way back in 2008, I had visited Coogan’s Bluff, that high promontory in Manhattan which overlooks the East River and Yankee Stadium. Down below was the former site of the old Polo Grounds, that odd, horseshoe-shaped bath tub of a stadium which once housed the New York Giants, the New York Yankees and even the New York Mets at various stages. It was a sight which thrilled me. I knew only too well of the sporting tales which had taken place on that piece of real estate down by the river…the “shot heard around the world”, the Willie Mays catch, Babe Ruth’s first few seasons in NYC, the rivalries with the Yankees and the Dodgers…well…next in my sights was the old Brooklyn Dodgers’ stomping ground Ebbets Field, deep in the Flatbush area of Brooklyn, only some five miles away, but – in my mind – fifty years away…another time, another place. I hopped on the subway, changed in the heart of Brooklyn and took a second train to Prospect Park. My nerves were tingling. Let me explain. If the Brooklyn Dodgers were still playing ball, I think they would be my team. Just a week before my very first trip to the US in September 1989, I visited that wonderful bookshop “Sportspages” – sadly no more, damn you internet shopping – and bought a book on baseball stadia called “Take Me Out To The Ballpark.” It was to be my first real introduction to a sport that I just knew that I would get to love over the course of my next year in North America. Those black and white photos of Ebbets Field – Pee Wee Reese, Roy Campanella, Duke Snider, Jackie Robinson, Leo Durocher, Hilda Chester and her bell, the Abe Stark sign, the Dodgers Symphony, the rotunda, the whole nine yards – really struck a chord with me. The Dodgers were the perennial season after season losers, the stadium a rickety treasure, their fans charismatic. At the time, I regarded Chelsea as perennial underachievers. There would have been a “fit” there. There was another dash of synchronicity; the Brooklyn Dodgers’ and Chelsea’s only championship were both in 1955. Damn you, Walter O’Malley. It could have been a perfect match. That I chose the Yankees – or they chose me – in the winter of 1989-1990 is of course well known. I loved New York and I loved it that the Yanks were going through a lean spell. I wanted to earn my stripes – or my pinstripes – in support of this fabled team. I didn’t want to be labelled a glory hunter. They were my team. They are my team. I’ve seen the Yankees play some thirty-six times. I have loved reading and writing about the Yankees ever since; visiting The Bronx is always a journey of wonderment for me. Yet, for me to step out of Prospect Park subway station and to walk those same steps that millions of baseball fans took in the glory years of Brooklyn baseball was truly wonderful. As I approached the intersection of Sullivan Place and McKeever Place, my mind played tricks on me. I easily visualised those famous old photographs of Ebbets Field, the streets busy with cars, hot dog vendors, souvenir stalls, fans of every creed and colour and the famous rotunda behind home plate. In reality, in 2013, I stared at a monumental block of social housing; brown apartments rising twenty stories or more into the Brooklyn sky. I turned and saw a gentleman of around seventy years of age. I felt I had to say something. That was perfect. I slowly walked anti-clockwise around the former site of Ebbets Field…first base, second base, third base and home. It was magical. It stole my heart. Why do I mention this? Why am I sentimental about a stadium that I never visited and about a team that died in 1958? In 2011, Chelsea Football Club wanted to buy my pitch owner share and initiate a move away from Stamford Bridge forever. In fifty years’ time, I don’t want football fans alighting at Fulham Broadway and making a similar trip to where football was once played. Later on Friday, I made my way in from Brooklyn to Manhattan once again. I was hoping for a better turn out from the Chelsea Nation than on Thursday ahead of the game in The Bronx on the Saturday. I made my way into Jack Demsey’s bar, again just along from “Foley’s” and “Legends” on West 34th Street. I arrived at about 6.30pm and stayed way into the night. In truth, the night began slowly, with only a few familiar faces making an appearance. Of course, it was great to see Beth, John, Wobbley, Steve from California, Paul from Ontario and Jamie from NYC again. However, I was expecting more faces. Was this a game too far? Compared to previous pre-game parties, this was definitely a quiet start to the night. I got the beers in and hoped for the best. Meanwhile, in a bar a few miles away, the importance of Saturday’s game at Yankee Stadium was being discussed. As the night drew on – and on – more faces appeared and I was able to relax in the company of good friends. Brothers David and Scott arrived from their respective home cities, still dressed in their suits, straight from work; a lovely surprise. Nick and Shawn, the two Boston Blues, made a much heralded appearance at around midnight and it was great to see them. Mike and Fun Time Frankie arrived from St. Louis and more beers were quaffed. James, Pablo, Matt, Samantha, Lynda and Jaymee joined the throng and we had a blast. The beers were going down well. It was lovely. In truth, we didn’t talk too much about the team or the players. We just stood around, taking the piss out of each other. Before I knew it, the time was 3.30am. Oh boy. It was time to say “goodnight.” A few of us slithered into Fun Time Frankie’s motor and he drove us home. They smiled. I explained that I hoped that Bayern would be successful. Historically, I have never cared too much for them, but the warm welcome given to 40,000 Chelsea last May will not be forgotten. My vote was for Bayern – for Robben, for Schweinsteiger the pigfcuker, for Lahm, for Ribery, for my friend Michaela – though, in truth, I wasn’t bothered. Eventually I reached “Legend’s” at just before 1pm, a little later than I had hoped. The place was already heaving with bodies. Downstairs, in Jack Keane’s “Football Factory” there was a riot of Chelsea and Adidas royal blue. I had a quick poke around – a “hello” to a few familiar faces – but then came up for air in the top bar, which was full of Bayern, Dortmund and neutrals. Interestingly, there was a precedent to this; in 1996, while in town for a three game Yankees vs. A’s series, I watched my beloved Juventus beat Ajax in Rome in that year’s Champions League Final. On that occasion, I watched in a small bar near Columbus Circle. I think I was the only one watching. How times change. I spent most of my time with Steve from Philadelphia, who was chatting to Rick, also from Philly. I had met Rick in The Goose a season or so ago. Thankfully, my friend Roma and her youngest daughter Jenny – who I last saw in Los Angeles for the Galaxy game in 2007 – soon arrived. Roma had driven up from her home in Tennessee on the Friday with Jenny, her son Shawn, her mother Mary and their friend Missy, who was in NYC for the first-ever time. Only Roma and Shawn would accompany Steve and I to the game; the other three were left to explore the sights and sounds of Manhattan. I last saw Mary at that Galaxy game in 2007, too. It was smashing to see them all again. Roma, who dotes on Frank Lampard, has been present every Chelsea tour in the US since 2004. This would be her ninth Chelsea game in the US, her tenth lifetime. In July, her other daughter Vanessa, was with Roma and Shawn for the game against PSG. Shawn seemed to be more interested in spotting Spiderman leaping between skyscrapers as we walked to the subway stop, but I approved of the Chelsea T-shirt – formerly Jenny’s – that he was wearing. We were soon hurtling north, beneath the streets of Harlem, and we soon found ourselves back in The Bronx. I commented to Steve that I hadn’t seen the area around Yankee Stadium so quiet on a match day since my first ever visit back in 1990. Seeing the white, pinstriped Yankee shirts on sale made me double-take. Was this a Chelsea game or a Yankee game? Who cares, get the beers in. We called in at “Stan’s” for a “Rolling Rock” and it was so good to be back. It is my favourite bar in America, perhaps the world. The owner Lou wasn’t present but a couple of the bartenders, plus the bouncer, recognised me from previous visits. That gave me a real buzz. Bayern scored a goal at Wembley and I was happy with that. We then popped into “The Dugout” where the main Chelsea pre-game party was in full-flow. On the short walk from “Stan’s”, we heard another roar…this was Dortmund’s equaliser. I had never visited “The Dugout” before; it was quite cavernous, and full of Chelsea. There were even a few City fans dotted about. Roma and Shawn departed to take their seats in the stadium, while I chatted to a few other friends who I have made the acquaintance of over the years. It was lovely to see Chopper, Tommy, Steph and Steve from Connecticut again. Steve and I gulped down a last can of Pabst Blue Ribbon – there was no draught beer left – and we hurried to our seats, since there was only ten minutes to go until the game was due to start at 5.30pm. As we walked through the Great Hall, we stopped to admire the Yankee greats whose photographs adorn every square inch. Although I am no real fan of the new ballpark, the Great Hall is its best feature. In truth though, I’d rather have the claustrophobic tunnels and alleyways of the original House That Ruth Built. The new stadium will grow on me I am sure, but I still think it has a few design faults. There is far too much exposed dull grey steel, the upper deck should be higher, deeper, without a mid-level break, the old stadium was just so dramatic, the new one is tame. The worst feature, though? The words “Yankee Stadium” high on the outfield wall behind the left-field bleachers. We fcuking know its Yankee Stadium. Unlike the game in July, our section was in the mid-level mezzanine – section 212. I was happy with the view. I was well aware that the tickets had not been selling well for this game. Despite the tremendous 48,000 sell out in St. Louis, I feared that around 20,000 to 25,000 would attend this one. I knew that a friend had picked up two for $60 out on the street. The gate for the PSG game in July was given as 38,000. I thought that was rather optimistic. On this cold and grey evening in The Bronx – typical English weather – the stadium was sparsely populated. As the teams did their drills out on the pitch, it was clear that there were far more Chelsea than City fans present. The City section away in left field was hardly full; there were even Chelsea shirts in it. I’d suggest that barely 20,000 spectators had bothered to attend the game. The published gate of 39,000 made me chuckle. The 5.30pm kick-off never materialised. It was nearer 6pm when Fernando Torres led the Chelsea team out onto the Yankee Stadium turf. For many US fans, this would be the first sighting of Torres, plus quite a few others. Despite Chelsea’s team containing Nathan Ake, Ruben Loftus-Cheek and Anders Christiansen, the team that Benitez chose did contain quality through its ranks. The Manchester City team, though, looked impressive. This would be our sixth game against them this season; they were our only real nemesis, on a one versus one basis, throughout 2012-2013 and I wondered if we would be able to match them. As Rafa Benitez walked to the bench in shallow right field, I wondered what was going through his mind. I never really warmed to the bloke since his appointment in November. It was always going to be a tough relationship between him and us. I was present for his first game against City, I was there to usher him out after his last game against City. In reality, we found this a tough old game. A goal from Gareth Barry, the world’s most boring footballer, on just three minutes gave City the advantage and a second from Samir Nasri on the half-hour gave City a 2-0 lead at the break. In between, we created a few chances, but the finishing was poor. Despite City’s lead, I heard no City songs. Perhaps they weren’t really here after all. Our section was in relatively good voice, with songs being aired at regular intervals. Our section resolutely ignored the “wave” which circled the stadium on a few occasions. The “Come On Chelsea” chant just sounded odd, to my ears…it sounded flat, with no intent. At home, it’s “COME ON, Chelsea” with encouragement in the first two syllables. At Yankee Stadium, it was “Come On Chel-SEA” and sounded monotone and flat. Just before the break, Paolo Ferreira came on to replace Loftus-Cheek. He received a magnificent reception from the royal blue hordes. A goal from Ramires soon into the second-half gave us hope, but Milner – the second most boring footballer in the world – struck low past Petr Cech to give them a 3-1 lead. I was pleased that the New York fans were able to see Juan Mata play; he replaced David Luiz on the hour. Another goal from Ramires made it 3-2 and then Nasri scored to make it 4-2. This was now turning into a very cold evening in The Bronx and I felt for Roma, alongside me, wearing sandals. A delightful free-kick from Juan Mata, captured on film, the last of a long season of goal photos, gave us hope at 4-3, only for Dzeko to seal the 5-3 win late on. There was still time for me to let out a rasping “Zigger Zagger” and the fine fellows around me responded magnificently. At the end, a few moments to reflect upon. In the row behind me, a US fan was ranting about the poor performance by the team. In truth, he had been moaning all game. I had a go back at him. 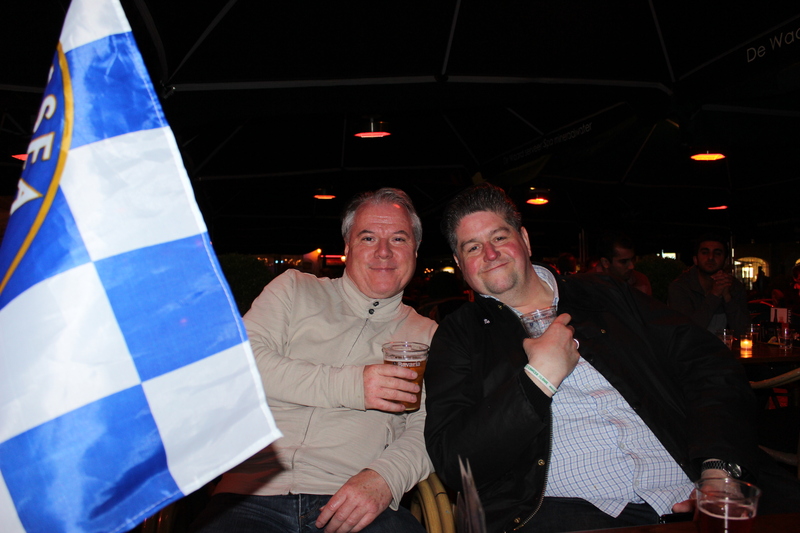 Another chap…an expat…never seen him before, was equally scathing about Chelsea’s performance. Tellingly, he chose to refer to Chelsea as “they” all the way through his tirade. Philly Steve was stood alongside me and could tell I was bristling. I had to jump in. “Ah, fcuk him” I thought…I let him rant away…I was too tired for further confrontation. His argument petered out after being met with indifference from myself and Steve. At the end of the game, old blue eyes himself, Frank Sinatra, sang “New York New York” and I wiped away the tears of joy. I love this town. I want to be a part of it – New York, New York. These vagabond shoes, are longing to stray. Right through the very heart of it – New York, New York. I wanna wake up in a city that doesn’t sleep. And find I’m king of the hill – top of the heap. I’ll make a brand new start of it – in old New York. If I can make it there, I’ll make it anywhere. Back in Stan’s, we had met up with Andy Wray and were enjoying more “Rolling Rocks.” The place was full of happy Chelsea fans; who cares we lost? However, it was sadly time to say goodbye to Roma and Shawn and they made their way back to meet Mary, Jenny and Missy. A couple of Belgian Chelsea fans joined us, and we then ventured down into the adjacent subway. Andy Wray suggested we sang “We Won In Munich, Munich” and I foolishly joined in. After a long day of singing, that one is a real rasper. Oh boy. I have to say, after the away section in Chester for the All-Star Game, the trips to Turin, Tokyo and Amsterdam, a chat with Roman, the wins at Old Trafford, White Hart Lane and The Emirates, that subway ride was one of the highlights of the season. Back at “Legends” it was all Chelsea, the Bayern and Dortmund fans having long since disappeared. I chatted to more friends and the beers continued to flow. Steve set off for home at midnight, but the residual few – you know who you are – kept going until 3am. It turned into a crazy night and it turned into a crazy morning. I didn’t get home until 5.30am. On the Sunday, I treated myself to a nice meal in a steakhouse in Brooklyn, with Sinatra still singing in the background. Fun Time Frankie picked me up in Greenpoint and took me through Queens and out to Rockaway – a glimpse of the Atlantic, that body of water that bizarrely connects England and America – before dropping me off at JFK. There was talk of The Ramones, of John Gotti, of the Yankees, of the Mets, of football. We stopped for a slice of pizza at a roadside joint in Ozone Park and looked forward to our next meeting. It was the perfect end to a fantastic few days in New York. And so, season 2012-2103 has finished. Another eventful campaign has passed. It has been – cough – interesting. There are tours in the summer to Thailand, Malaysia, Indonesia and then, crazily, even a return to the US. Not for me. I need a rest. Chris, Sunday 2 June 2013. Aston Villa vs. Chelsea : 11 May 2013. Chelsea’s game at historic Villa Park was our last domestic away match of the season. Our encounter was the only Premier League game taking place on Saturday 11 May. The F.A. Cup Final between Manchester City and Wigan Athletic was set to kick-off at 5.15pm but, for some ridiculous reason, our game was not shifted with the rest of the programme to a Sunday. I can’t even begin to understand the reasoning for this; in fact, I have long given up on the FA’s ability to organise football in this country. I am sure that they would cite the Champions League Final being played on Saturday 25 May as reason enough to slot the Cup Final into a normal league programme, but why we had to share the billing with the Wembley final I do not know. Despite a 12.45pm kick off in deepest Birmingham, I didn’t have to leave home too early. Unfortunately, Parky was still unable to accompany me to an away game. This has been a lonely old season for me on my travels around England for Chelsea’s away games. I have missed his company I must say. His last game outside of SW6 was the Community Shield game in August, ironically at Villa Park, when we lost to City. Since then, I have attended fourteen of the allotted nineteen away league games. I missed the games at Newcastle United, Sunderland, Norwich City, Everton and Liverpool. This would be my 54th. game of the season. It has been another arduous trek; I can’t say I have enjoyed it as much as I would have liked. I am sure none of us have. The away games at Arsenal and Tottenham in that gorgeous autumnal afterglow of Munich, with us four points clear, seem like they took place in another season altogether. The road since the sacking of Roberto di Matteo in November has been rocky and there have seemed to have been hundreds of diverting and destabilising sub plots along the way. Having Rafa Benitez at the helm has been difficult. I have coped, in the main, by ignoring him. Of course, at times our play has been breath-taking. Just think of some of the scores…eight against Villa, six against Wolves and Nordsjaelland, five against Manchester United, Leeds and Southampton. Our tricky trio of Juan Mata, Eden Hazard and Oscar have given us sustenance in times of draught. Their play has been magnificent. Eden Hazard, after a slow start, has certainly come to life in the past three months. There have been many positives. And so – here we were. After the disappointment of three dropped points against Tottenham on Wednesday – in which, ironically, we strengthened our league position by going two points clear of Arsenal and three clear of Spurs – we faced two remaining league matches in order to grind out the requisite three points to secure that modern Holy Grail, Champions League qualification. As I set off at 9.30am, there was no over-riding feeling of Armageddon or Doomsday about our lunchtime encounter with Villa. I ate up the miles as I headed north to Birmingham. I turned off the M5 and drove past The Hawthorns, where a placard told the story of the next game to take place at West Bromwich Albion’s neat stadium. Manchester United – Sunday 19 May. I found it ironic that the graveyard for Andre Villas-Boas and Roberto di Matteo’s Chelsea stewardship will also witness the denouement of another manager’s club career. It was midday and the traffic then stalled as I drove through the dowdy residential areas of Handsworth and Perry Bar. I received a text from Andy out in California, informing me that it was 4am and he was “on the road” to the Olde Ship in Santa Anna where his crew would watch the game. It re-emphasised how lucky I was to be able to attend in person. Thankfully, I was parked up on Willmore Road at 12.15pm and I then walked the fifteen minutes to Villa Park, with memories of drizzle last August when the area was over-run with the sky-blue followers of Manchester City. I walked alongside a few Villa fans and I always find it interesting to “ear-wig” comments from other fans about Chelsea. I could tell that they were nervous. One son soon reeled off the Chelsea team that he thought might start to his father and I was suitably impressed. It proved that our players in our team are well known among the football world. Could I, in comparison, name many of the Villa players? I had plans to take time out and photograph the red brick façade of the Holte End – which took its inspiration from the famous old stairs on the old Trinity Road Stand – but time was running out. I rushed pass the souvenir stalls and the fanzine sellers…”CFCUK” and “Heroes & Villains”…and there was a busy line at the away turnstiles. Thankfully, I was soon inside. Villa Park is one of the grand dames of English football stadia. Due to its central location it has often hosted F.A. Cup semi-finals. Chelsea played two consecutive semis at Villa Park in the ‘sixties, losing to Sheffield Wednesday in front of 61,000 in 1966 but beating Leeds United in front of 62,000 the following year. This would be my fourteenth visit to Villa Park. We have enjoyed mixed fortunes over the years. Despite the size and scale of the stadium, it is not a particularly favourite away ground. I find the Villa fans to be ever so slightly too full of themselves. I made my way up into the upper deck of the Doug Ellis Stand, formerly the single tiered Witton Lane stand, where I first ventured during two visits in 1986-1987. There was drizzle at the start of the game; just like in August against City if memory served me correctly. I hoped for a different outcome. Alan was already in the seats; Gary arrived just before kick-off. We were right next to the wooden panels which divided the home and away spectators. The stadium seemed to be near capacity with only the executive seats in the mammoth main stand unfilled. We took to the field in those awful black and yellow kits once more. Of course, the sad truth is that we were pretty woeful in the first-half. From the moment that Baker crudely tackled Juan Mata early on, it was clear that Villa were desperate for the three points. The Chelsea fans derided the home support. Chelsea were content to play the passing game, while Villa were looking to exploit the pace of their forwards and the apparent stiffness of our defenders. Agbonlahor – one of the few home players that I recognised – set off on a run at John Terry way down below us and the Chelsea captain just did enough to quell the danger. I didn’t fancy too many repeats of that, though. On a quarter of an hour, Delph played the ball through to the physically impressive Benteke. I uttered the words “he’s the one to watch” just as he brushed past Cahill and deftly beat Petr Cech at the near post. The Villa Park faithful roared. A claret flare was set off in the North Stand enclosure and the sulphurous fumes soon reached us. The Villa fans were in their element. After the Chelsea supporters begged of them to “speak fackin’ English” they responded. On nineteen minutes, we stood and clapped along with the Villa fans in support of Stiliyan Petrov. Down on the pitch, we were really struggling. Ramires was booked, Delph came close and Villa were in control. We looked tired, so tired. The isolated Demba Ba was only given scraps. However, a lofted ball from Mata found Ba inside the penalty box – alone, having evaded the offside trap, with only Guzan to beat – but his touch was heavy and the chance passed. There was frustration and, at times, derision, in my midst. Although the Chelsea support was in good form at the start, at times during the first-half it was the quietest for some time. The rain gave way to bright sunshine, but our play was tepid and dull. Moses, especially, seemed to be lacking focus. 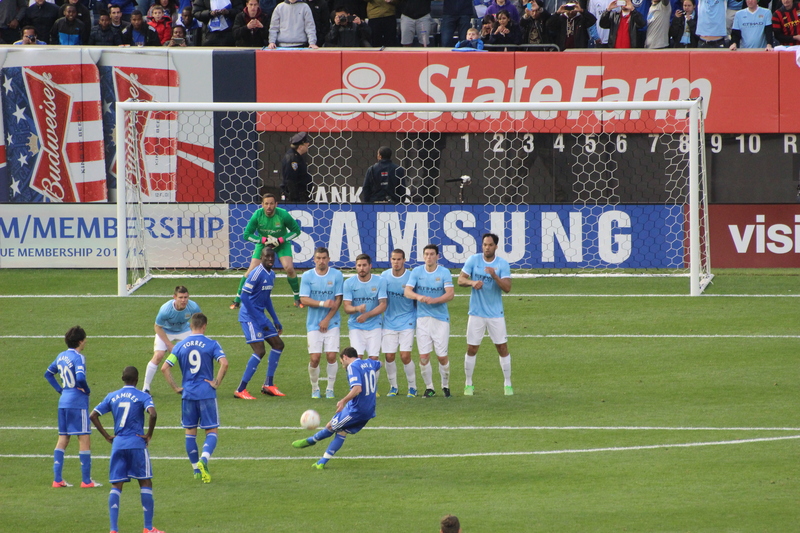 Then, a half-chance as Frank Lampard unleashed a free-kick at goal after Hazard was fouled. The shot was knocked onto a post by Guzan but was gathered before a Chelsea player could follow-up. These were testing times. It was also a physical battle. Referee Lee Mason brandished a yellow to Benteke for an assault on Azpilicueta. Then, a yellow card for Terry. Our thoroughly rotten first-half continued as Ramires – stupidly – tackled Agbonlahor with a high boot. His second yellow meant that we were down to ten men. At the half-time break, all was doom and gloom in Birmingham. I personally saw no way out of this. It looked like it would be “5hit or bust” against Everton next Sunday. We couldn’t even enjoy Amsterdam in the expected manner with the threat of a fifth-place finish on our minds. I thought of David Moyes’ awful away record against Chelsea, Arsenal, Liverpool and United; how typical for him to get a first win in over forty games against these four teams in his very last Everton match. Thankfully, Benitez replaced the woeful Moses with David Luiz at half-time. Villa – attacking the Holte End – began with several half-chances. With their pace, I really wondered if our rear-guard would hold firm. Our support was still quiet. I heard a bird sing in Aston Park. Then, salvation. A raised foot by Benteke on Terry and – YES! – Mason showed the Villa frontman his second yellow. Soon after, the ball was worked to Frank Lampard who was loitering just outside the box. He pushed the ball square – making life difficult for him, I thought – but crashed a left-footed screamer past Guzan in the Villa goal. There is nothing better than seeing the net ripple. It was the equaliser, in more ways than one. In the melee that followed, I was able to capture his run, his point skywards, his smiles, his moment. The Chelsea fans roared all around me; we were now unleashed. We were ecstatic to get the equaliser, but beside ourselves with elation for Frank to see his destiny fulfilled. With half an hour still to play, we roared the team on. With the fresher legs of David Luiz seeming to energise the players around him, we looked fresher and more confident. Villa, though, still had the occasional chance. After a Gary Cahill shot was blocked, Demba Ba followed up but the ball was again cleared from the goal line. To my eyes, some fifty yards away, I wasn’t convinced that the whole ball had crossed the line. Incoming texts – biased, of course – indicated that the ball was over, but it really was too close to call. In truth, I was a little dismayed that I hadn’t captured Frank’s goal on film. A penalty would allow me to capture number 203 for sure. John Terry collapsed on the floor and was clearly in pain. As he was stretchered off, I was truly saddened by the applause and cheers cascading down from the home sections of Villa Park. In all of my time watching live football, I don’t think I have ever seen a badly injured player being booed and jeered as he lay on a stretcher. We turned to the hundreds of nearby Villa fans and vented our dismay at their cruel and callous actions. That was it. I hoped we would score and send them down. The chances came and went. Frank headed a chance well over and he looked very frustrated. Free-kicks from Mata and Luiz were poor. The minutes ticked by. Maybe we would have to hope for Stoke to beat Spurs on Sunday for Champions league qualification to be realised. Fernando Torres replaced Demba Ba. The last roll of the dice? Luckily, I pulled my camera up to my eyes as Ashley Cole played the ball to Eden Hazard who skipped deep into the Villa box. I clicked as he pulled the ball back towards the onrushing Frank Lampard. With a rush of adrenalin which happens every so often at football, I watched through my lens as Frank swept the ball home. The away section of Villa Park shook. The 3,000 Chelsea fans uttered a guttural roar and I continued clicking as Frank was joined by Torres and Mata down below me. The rest of his team joined him and then many Chelsea fans jumped over the advertisement hoardings and engulfed our heroic scorer. It was an amazing turnaround to a game – and possibly a season – that was drifting away from us. How typical for Frank to single-handedly rescue our game in such breathtakingly dramatic style. That the record-breaking two goals should mean so much to our club was – perhaps, whisper it – written in the stars. They were two archetypal Lampard goals too; the blast from outside the box which swerved past the hapless ‘keeper and the classic run, perfectly timed, to meet the ball and sweep home. The rest of the game was – as they say – a blur. Seven minutes of extra time added to the drama. Unfortunately, Eden Hazard was injured and was taken off. We were down to nine men. We withstood a late Villa rally. Everyone around me hugged and shook hands. Our joy was stratospheric. Quickly, the players walked over to us…first Ash, then Nando, then Frank. The sun was bathing everyone in glorious light. 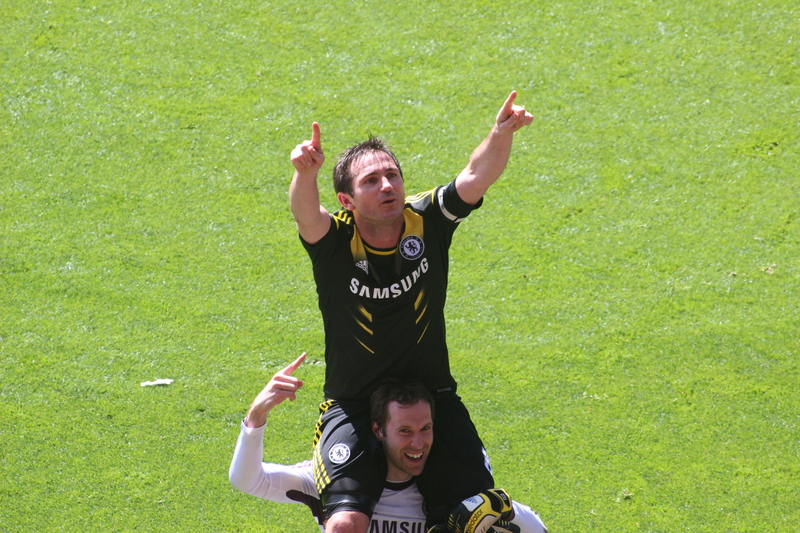 I snapped away as Frank smiled and laughed, spotting familiar fans in the lower tier, hugging his team mates. He was clearly relieved and overjoyed. I was so pleased for him. 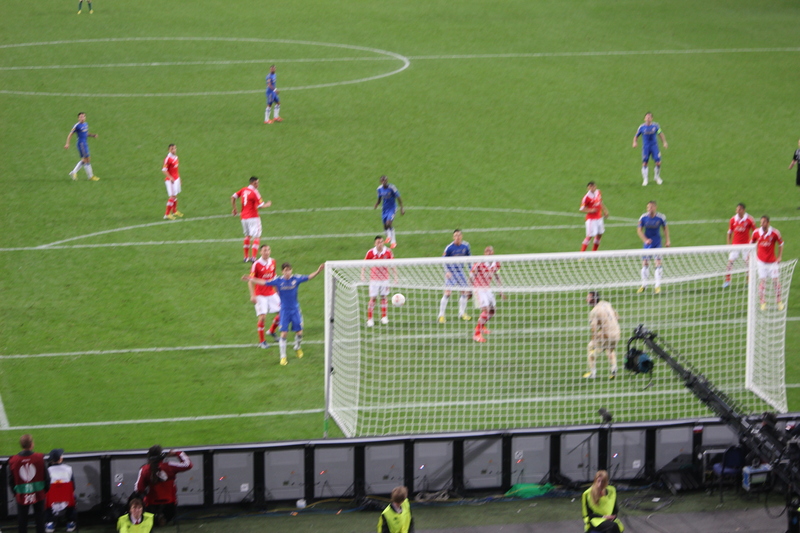 Petr Cech hoisted Frank high on his shoulders and, as I continued snapping away, I fought back a tear. How wonderful that Frank eventually beat Bobby Tambling’s Chelsea goal haul at the very ground where Bobby scored five for Chelsea against Villa way back in 1966. Frank – a few words. You have given me so many wonderful moments as a Chelsea supporter over the years, from the goals at Bolton for that first title in fifty years in 2005, to the emotional penalty against Liverpool in the Champions League semi-final in 2008, to the F.A. Cup Final winner in 2009, to the free-kick against Spurs at Wembley last season, to a penalty in Munich, to goals 202 and 203 at Villa Park in 2013. Your professionalism, your dedication, your spirit and your strength are much admired by us all. On the drive home, I was blissfully happy. We had qualified for the Champions League – sure. But the over-riding feeling was of pride in Frank Lampard’s dramatic achievement on yet another momentous day in the club’s history. …202…203…how about 204 in Amsterdam? See you out there, Frank. Chelsea vs. Basel : 2 May 2013. There was a nice, cool vibe leading up to our Europa League semi-final second leg against Basel. For the first time in my spectating life, Chelsea had already done the hardest part by winning the first leg away from home. On all other occasions, things have been a little trickier. A quick resume of previous semi-final encounters in which we played away first? So, this was new ground for me. Uncharted territory, if you will. For many of our hundreds, thousands, millions of new fans, there has only been life at the top table as a Chelsea fan; participation in the Champions League has been second nature for us over the previous ten successive seasons bringing a massive increase in our global recognition. However, for many years, even competing in any type of European football was seen as a holy grail. From an infamous defeat to Atvidaberg in the ECWC in 1971, we waited patiently for the next European night. Thankfully, it finally came against Viktoria Zizkov in 1994, but only after a wait of twenty-three long years. Put it this way. I was twenty-nine years of age before I saw us play in any UEFA match. So, naturally, there has been a certain amount of teeth-grinding by myself at some of the comments aired by some Chelsea fans recently about the trivial nature of the much-maligned Europa League. However, this has been a personal voyage for me since we were knocked out of this season’s Champions League campaign by Shakhtar in December. On that night, when we beat Nordsjaelland but Shakhtar still went through, I was initially upbeat about our participation in the Europa League. Since then, my feelings have waivered a little, but as the final in Amsterdam has loomed nearer and nearer, thoughts have been more positive again. The extra round of games in this competition – the dreaded “Round of Thirty-Two” (which sounds like the biggest round of beers ever) – stretched out this competition further, but after the defeats of Sparta Prague, Steaua Bucharest and Rubin Kazan, only one game remained. A few weeks ago, I booked up flights from Bristol to Schipol in readiness of Chelsea reaching the final in Amsterdam but took out an “insurance bet” on Basel beating us to minimise my loss if we didn’t make it. In fact, there were so many Chelsea fans betting on Basel to win the tie, I’m surprised that the police weren’t suspicious of illegal betting practices. The first-leg went our way – we were back on the main ITV channel, Luiz scored a cracker, things were looking good – and so there was a certain amount of relaxation going in to the return leg. I set off for London town just after 4pm and the voices of Chelsea fans Paul Weller and then David Gahan helped prolong the air of relaxation as I ate up the miles heading east. I reached The Goose at 6.45pm. Outside in the beer garden, there were friends mingling. I can imagine Paul Weller writing about the scene which greeted me. “A police car and a screaming siren. Pneumatic drill, Napoli Frank’s laughter. Lord Parky wailing, a stray dog howling. The clink of glasses and the joy of drinking. A smash of glass, the sunlight fading. A team photo, the excitement rising. The boys together, polo shirts and trainers. The fear of defeat and a kick in the balls. Just time for one pint; my trusted Peroni went down well, too well, but I didn’t fancy risking another one. There was a nice mixture of friends old and new. Orlin from San Francisco, with his fellow Bulgarian Evo – living in Ealing now – was rubbing shoulders with Napoli Frank and Dartford Dave. The Kaminskis from Pittsburgh were also present. These six would be sitting – no, standing of course – in the first row of The Shed Lower. Keith, from New Jersey, was also in the beer garden. He was with his friend Fernanda who has been living in England for nine months. This would be her first ever Chelsea game, her first ever football match. With a name like Fernanda, I wondered who her favourite might be. The walk down to Stamford Bridge was lovely. There was nothing but a clear blue sky overhead. The sun hit the stone of the Hammersmith & Fulham Town Hall and gave it a golden sandy hue. There was noise and colour all around me. I turned to my left and again the sun had highlighted the towering West Stand to perfection. With massive banners from last season’s twin triumphs adorning its yellow stoned walls, it, looked a picture. I’m sure I saw the Peter Osgood statue blink in the sunlight. On the wait to ascend the steps leading up to the MHU turnstiles, I found myself alongside Tim Rolls and Rick Glanvil. There was talk of Frank Lampard. Rick seized the moment and asked a trivia question. I made my way up the stairs…always to the left, one of my match-day superstitions, then out into the seats. A near full house, but Basel didn’t completely fill up their 3,000 spots. I can’t grumble though; I didn’t travel to Basel for the first game. In fact, only around 1,000 Chelsea did. Ryan in for Ash. Brana alongside Cahill. Luiz pushed up alongside Fat Frank. Ramires out right. Moses out left. Torres in for the cup-tied Ba. I had difficulty in remembering any of the Basel team from the first leg; this was not helped by seven of their team having surnames which began with the letter S.
Shostakovich, Solzenitzen, Socrates, Sinatra, Schumacher, Spielberg and Strauss. In the first chance of the game, Basel – playing in white – almost got off to a dream start when Stella – sorry, Strella – shot wide. At the other end, Lampard reacted quickly but hit the upright. On 17 minutes, Fernano Torres hit a bobbler, but it was saved by the goalkeeper. On 25 minutes, that man Stella – sorry, Strella – raced into the box and beautifully met a perfect cross on the volley. It was a magnificent strike and it whizzed past Cech’s far post. Their big number nine was looking a handful for Cahill…Ivanoviv…Luiz…whoever was closest. Away in the opposite corner, the Basel fans were in good voice. Elsewhere, the Chelsea faithful were sporadic inn their support. This clearly didn’t feel like one of “those” magical European nights. I joked with Alan that next Wednesday’s encounter with Tottenham was more likely to be akin to a Champions League semi-final than a run-of-the-mill league game. Gary Cahill made a quite magnificent tackle as Basel again threatened. At The Shed End, Ramires shot at the goalkeeper from only six yards out after good work from Moses down the left. This wasn’t a great Chelsea performance. 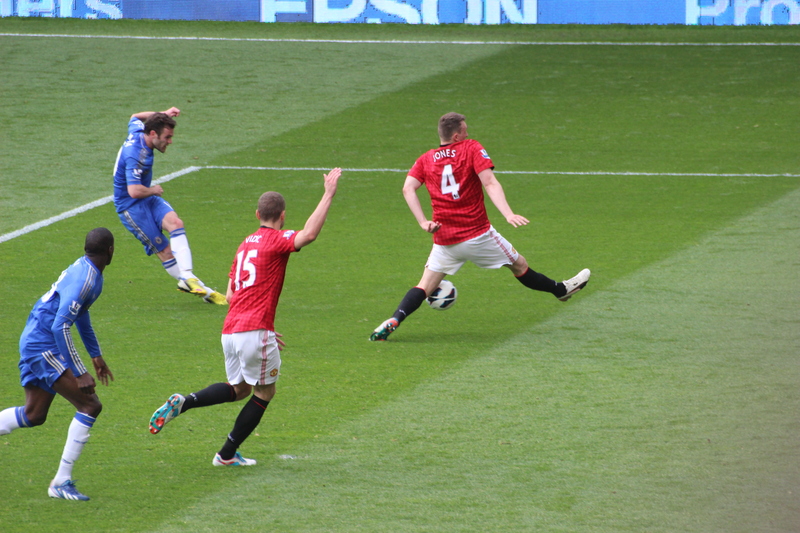 There was a disjointed feel to our play and we missed the intelligence of Juan Mata. I lost count of the number of crosses which ended up in acres of space at the far post, away from any Chelsea players. The six visitors in the front row of The Shed would have had good sightings of all this. Our choice of ball in the final third was poor. Basel broke though again, only for Petr Cech to make a fantastic save from Sinatra – sorry, Salah. Just before the break, Fernando Torres did ever so well to come inside from his inside-left position, only to hit a shot high and wide. Ah, Vicenza, April 16th 1998. It was one of the greatest nights that I have enjoyed as a Chelsea supporter. We had lost the away leg on a rainy night in northern Italy 1-0. In the return game – with Chelsea deciding to play in all yellow – we went a further goal down on the night. It was looking awfully bleak. Then, miraculously, a goal from Gus Poyet gave us hope before half-time. In the second-half, with the 34,000 capacity crowd roaring us on (comparable to Bruges 1995), a fantastic cross from Vialli was headed home by Zola and then Mark Hughes turned and volleyed in a low shot to send as absolutely delirious. It truly was heart-stopping stuff. Colin Pates was Neil Barnett’s guest at half-time. He was on the pitch with his two sons. 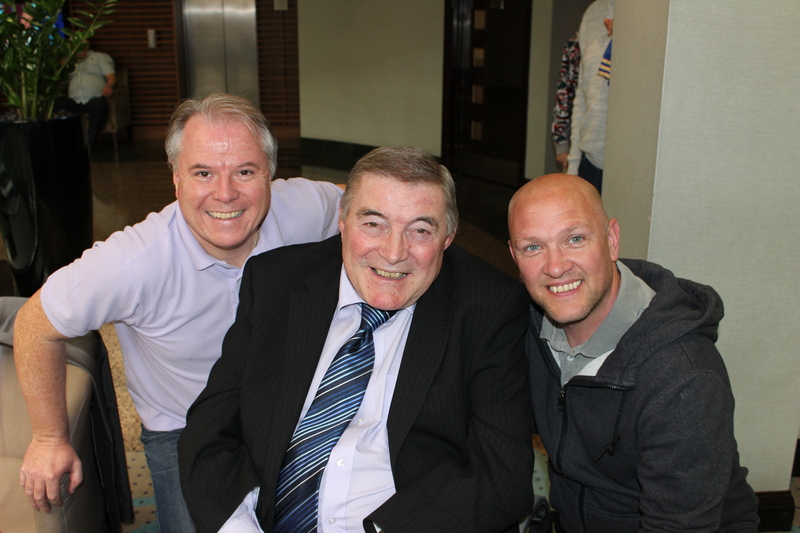 Neil started to say a few words about our much-loved former captain. I had read about Victor Moses’ life story during the summer…how he had witnessed both of his parents being killed in Nigeria, then came to England as an asylum-seeker, settling in South London with relatives, then playing football with Patesy at Whitgift. I bet Colin is so proud. I was to be proved right. After 49 minutes, Eden Hazard went on a fantastic run deep into the heart of the Swiss defence. The ball found Frank Lampard who blasted towards the goal. The Basel custodian saved, but couldn’t gather the ball. The on-rushing Torres was able to pounce and fired the ball high into the net. Parity on the night was restored, but we were ahead on aggregate. It was Fernando Torres’ twentieth goal of the season. Only three minutes had passed when Victor Moses was able to follow up his own shot after it was initially saved to make it 2-0 on the night and 4-2 on aggregate. There is nothing like two quick goals to stir the emotions; such was the case on this night in SW6. The crowd were now back in this game and the songs rang out. The most memorable piece of skill on the night caught us all unawares. Frank Lampard pushed the ball on to David Luiz. Although he was some thirty yards out, he looked up and decided to unleash a dipping, curling masterpiece. I followed its trajectory as it flew goalwards. As the net rippled, the stadium erupted. It was another Luiz masterstroke. I pulled my camera up to my head and quickly shot a succession of photographs of the ecstatic Luiz as he ran towards us in the north-west corner. We were now 5-2 up and surely Amsterdam-bound. Just after Luiz’ stunner, Frei unleashed an incredible shot which rattled against Cech’s bar and drew applause from those around me in the MHU. Cech saved again, then Hazard’s delicate lob caused concern for Basel. It was, in all honesty, a fine game. We chuckled at that. Top marks. With the game now irretrievably lost, the Swiss fans had one last treat in store for us. They unfurled a large blue and red striped banner – almost Barcelona-esque – and then lit several pink and blue flares. It was a magnificent sight. Their fans were hidden among the billowing smoke; something that I always think looks wonderful. Like something from another world. The Chelsea faithful had a response, though. In the last few minutes, Nathan Ake made his home debut. I had a little chuckle to myself; my nickname for many years among school friends was Acky. At last, Acky plays for Chelsea at Stamford Bridge. With the game won, several left the stadium before the end of the game. It wasn’t like this in the Champions League. At the final whistle, I momentarily punched the air, but – I can’t fool myself – I knew that it wasn’t the same. However, we had deserved the win on the back of our second-half show and I wasn’t complaining. Of course, we are so spoiled these days. Coming right after the biggest night in our history, there is no doubt that this cup run has felt a little underwhelming. And yet, we all know that if we had gone even five years without silverware, we would be ecstatic about reaching a major final. “One Step Beyond” boomed out and I smiled. We had another European final – only our fifth in 108 years – to celebrate.